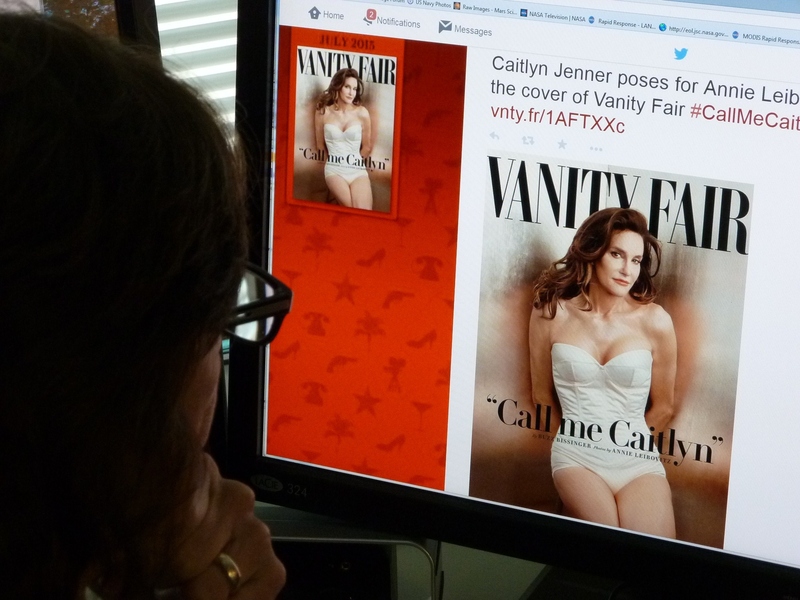 Caitlyn Jenner broke a Twitter record when she garnered one million followers in four hours. It took President Obama five hours to do the same. Fans, advocates, and celebrities tweeted overwhelming support for Jenner's Vanity Fair debut, but politicians — the people who are, perhaps, in the best position to defend and protect trans rights in the U.S. — were absent from the conversation almost entirely. Although there has been a surge of support for gay rights in politics, particularly as a historic SCOTUS decision looms, trans rights are often left out of the conversation completely. Monday was no different. Even prominent gay-rights activist and first openly gay member of Congress, Barney Frank, was silent on social media. To be fair, there were a few notable exceptions — some good, some not. Obama was one of the first to congratulate Jenner on Twitter. The president's elegant, simple tweet is probably the biggest political endorsement you could get. Valerie Jarrett, one of the president's senior advisers, also offered her congratulations on Twitter. In fact, Obama seems to be one of the only national political figures who is actively fighting or even acknowledging transgender people and their rights. He was the first to mention trans people in the State of the Union. He also signed an executive order calling for protection against discrimination for transgender workers. Florida Rep. Ileana Ros-Lehtinen also invited Jenner to meet with her after a tweeted introduction from Gregory Angelo, executive director of GOP pro-gay group Log Cabin Republicans. But a reaction from Tennessee Democrat Rep. Steve Cohen used partisanship to spread ignorance. So a handful of positive tweets and one hateful one seem to be most of what politics had to say publicly about Jenner. I guess we could be grateful that there weren't a lot of ignorant comments from our esteemed legislators, but wouldn't it have been nice to have some show of support? Trans rights seem to be the inevitable (and needed) next civil rights issue, but members of both parties seem reluctant to embrace it. There has been increased exposure with prominent celebrities such as Laverne Cox coming to the forefront of the much-needed reform, but there is still a long way to go. When will politicians would stop looking at trans issues as taboo?